Abacus Technology’s leadership remains committed to the fundamental principles that have been responsible for Abacus’ success—delivering exceptional customer service, hiring talented and innovative employees, and leveraging technology for continuous business process improvement. Dennis Yee is the owner and President of Abacus Technology Corporation. Established in 1983 by Mr. Yee, the firm has steadily grown to become a premier provider of information technology strategy and support services to both government and commercial clients worldwide. His responsibilities include overseeing all financial and operational aspects of the firm. Mr. Yee’s achievements, profiled in publications such as the Washington Post and Inc. Magazine, are directly attributable to his background. He is the son of Chinese immigrants who owned and operated a laundry and numerous restaurants in New York. They instilled in Mr. Yee a respect for hard work, a dedication to customer service, and an entrepreneurial spirit that guides his efforts to this day. Further, in Abacus’ formative years as an SBA-certified 8(a) company, Mr. Yee adopted a business model focusing, not on quick expansion and over-reliance on set asides, but on the long-term, strategically developing staff expertise and a diverse portfolio of services, and building a reputation for value and quality that would help the company survive after graduation. His unwavering commitment to this approach has served him well—Abacus has been thriving for many years and is one of the most successful companies that has ever graduated from the 8(a) program. Mr. Yee is a fierce advocate for small and minority businesses. He has testified before Congress on reform of the 8(a) program to ensure that these businesses obtain their fair share of Federal procurement dollars. Under his direction, Abacus has entered into subcontracting agreements and mentor-protégé arrangements designed to assist other small businesses achieve self-sufficiency and continuing profitability. Prior to Abacus, Mr. Yee was on the consulting staff of three prominent international consulting firms: Booz Allen & Hamilton, Stanford Research Institute and Cresap, McCormick & Paget. With these firms, Mr. Yee provided management and technology consulting services to a variety of Federal, state, and local organizations as well as Fortune 500 firms. Mr. Yee’s academic credentials include a BA in Economics from Syracuse University, as well as an MA in Economics and an MBA in Finance from George Washington University. Mr. Yee supports a number of children’s charities in the Washington, DC area, including Neediest Kids, Little Sisters of the Poor and the Youth Apostles, and plays an active role in the Asian-American business community, both locally and nationally. Bill Magro is a Senior Vice President of Abacus Technology with over 40 years of professional management and IT consulting experience. He holds an MS degree in Operations Research and currently oversees the firm’s operations and growth development relative to NASA programs. His experience covers a wide range of topics including strategic planning, business process re-engineering, operations analysis, organizational design, and economic decision support. Bill served as the Transition and initial Program Manager for Abacus Technology’s Information Management and Communications Support contract at NASA Kennedy Space Center. This $900 million and 650 staff member contract successfully provided voice, video, and data communications for manned and unmanned launches. Other mission support included data center operations; software applications sustainment; and multimedia/public awareness services for more than 20,000 users across the Kennedy and Cape Canaveral Air Force Station complexes. Bill also served as the Program Manager on Abacus Technology’s Integrated Base Defense Security System contact on which we designed, installed, tested, and maintained an innovative solution to secure the Air Force One Presidential Flight Line at Andrews AFB. Other key contracts that he has directed addressed the development of: an automated, integrated government-wide transportation management system for the General Services Administration; an information architecture and resource management strategic plan for the Resolution Trust Corporation/ Federal Deposit Insurance Corporation; and an IV&V program in support of an integrated financial management information system for the Department of Agriculture. 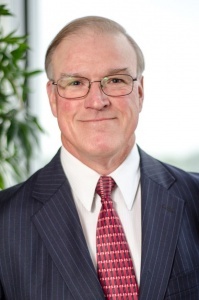 Prior to joining Abacus, Bill was a Principal in Booz Allen & Hamilton’s Transportation Consulting Division where he managed a number of organizational, operational, and analytical studies for the motor carrier industry. 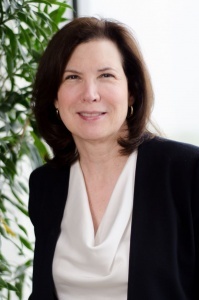 Susan Suskin was named Abacus Technology’s Senior Vice President of Washington Metro Area Client Services in February 2010. She is responsible for oversight of IT program performance and provides leadership for IT programs and business development efforts for Federal Civilian agencies. Susan oversees the efforts of employees who perform IT infrastructure O&M, develop emerging IT solutions, develop/integrate software solutions, support Program Management Offices, and accomplish a variety of IT-related analyses and studies for U.S. government customers. Susan has been with Abacus Technology since 1987. Prior to her appointment as a Senior Vice President, she led project teams for numerous client programs including the Departments of Veterans Affairs, State, and GSA; the Securities and Exchange Commission; Defense Security Service; Federal Aviation Administration; and Washington Metropolitan Area Transit Authority. Prior to joining Abacus, Susan was an Associate at Booz Allen and Hamilton. 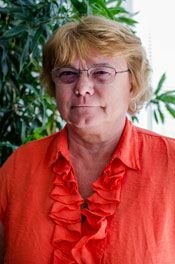 She was a member of the Transportation Consulting Division where she supported rail merger studies and physical distribution studies using computer models and analysis. Susan earned her Bachelor of Science degree in Electrical Engineering from the Johns Hopkins University and completed the coursework toward a Masters in Operations Research at University of North Carolina – Chapel Hill. Sharon Church is a Vice President with Abacus Technology with more than 25 years of experience in all aspects of Finance/Accounting Operations. She holds a Bachelor of Science degree in Business Administration and Management and currently serves as the firm’s Chief Financial Officer and primary contact to President/CEO and Executive Management Team on all corporate financial and accounting matters. She oversees all job cost accounting for government and commercial projects. She is proficient in budget preparation and review, financial analysis and reporting and cash management and as such, has extensive experience with the conversion and implementation of cost accounting systems including electronic timecard systems. She interfaces with the Defense Contract Audit Agency (DCAA) and all of its reporting requirements, pre-awards, audits and submissions. She prepares, reviews, and submits the annual budget, provisional rates for DCAA, and incurred cost rate submissions. Archie Riviera was named Abacus Technology’s Vice President of Cloud Technologies and Information Assurance (Cloud/IA) in February 2008. He is responsible for the leadership in Abacus business development efforts in Cloud computing and growing IT programs in the area of Cyber Security (Information Assurance). Archie oversees the company’s contract with the Department of the Interior, Bureau of Safety and Environmental Enforcement (DOI/BSEE). His team supports DOI/BSEE in every facet of Infrastructure Service and Support. They perform Systems and Network engineering and administration; Cyber Security including support for the Department of Homeland Security (DHS) Continuous Diagnostic Monitoring (CDM) program at DOI/BSEE. In addition, his team provides Service Desk and Deskside support; Asset Management; Integration Engineering; Application support; Active Directory support; and other aspects of support for the Operations and Maintenance of the DOI/BSEE enterprise systems. In prior years, he managed the company’s FAA Safety Office support. This included security surveys of several US and International airports. He also managed a project to provide secure passport production for the Philippines. The proposed passport system (as selected by the Philippine government) included the use of dual biometrics (fingerprints and facial recognition) as a method to prevent fraudulent passport printing. Prior to 2008, Archie served as the Senior Director of Consulting Services for Symantec Corporation. He managed the US Federal Consulting group. At Symantec he had over 50 consultants supporting the US Navy, US Civilian agencies, and several Intelligence agencies. Archie earned his Bachelor and Master of Science degrees from John Carroll University in Cleveland, OH. Mike Wang is the Oklahoma City Site Manager and Principal with Abacus Technology. He has a dual role with the firm as Operations Officer for his site as well as the Business Development Leader. His Operations duties include planning, directing, reviewing and coordinating the efforts of Information Technology (IT) professionals along with the contract management associated with those staff. He has managed up to 120 professionals annually with a current staff of 35 in multiple IT skill sets. He began his long career with Abacus Technology in July of 1994 and under his Business Development role has successfully secured and managed over 70 task orders and contracts nationwide with a primary customer base being Department of Defense. His Government clients are principally US Air Force Communication Squadrons and equivalent Army Network Enterprise Centers (NEC). Mike also serves as the technical information source for various Telecommunications initiatives throughout the firm. Prior to joining Abacus, Mike had a successful career in the US Air Force as a Communications Officer and Acquisition Manager with multiple assignments worldwide. He holds a Green Belt Six Sigma certification and USAF Acquisition Manager II accreditation. Mike also has both undergraduate and graduate degrees in Computer Information Systems from Texas A&M University. He is a long time member of the Air Force Association (AFA), AFCEA, and BICSI. Ngoc Nguonly is a Vice President of Abacus Technology with more than 20 years of human resources management experience. She holds a BS degree in Economics, is a long-time member of the Society of Human Resource Management (SHRM) professionals, and has served on the ADP Comprehensive Services Client Advisory Council. Her expertise covers benefits, labor relations, payroll accounting/auditing, office administration, and lease negotiation. Ngoc’s HR Department leadership has been instrumental in the successful design, implementation, and maintenance of corporate 401(k) and health insurance benefits programs, operational policies and procedures, and Federal compliance monitoring and reporting processes. Under her guidance, the firm fully automated its benefits administration, integrated this capability with our HR Information System, and launched employee self-service access for online open enrollment. Other improvement initiatives that she has spearheaded along with her dedicated HR team include: Employee wellness and fitness campaigns; Manager guidelines for progressive counseling of staff members; Electronic workflows for six-month performance reviews and annual appraisals; Community outreach resulting in sponsored internships; and Expanded incentives to promote workforce retention. Alice Solomon is a Vice President with Abacus Technology. She holds a Bachelor of Science in Math and Computer Science from the University of Massachusetts and an MBA from Bentley University. She has more than 20 years of experience contributing to the growth and reputation of Abacus Technology. Alice develops cost strategy and manages negotiations for major contracts and clients in the areas of systems engineering, enterprise architecture development and integrated security. Other areas of expertise include Foreign Military Sales, ITAR/TAA Compliance, and DoD and USAF acquisition. Alice is also the Officer in Charge of operations in Saudi Arabia, supporting the Royal Saudi Air Force (RSAF), USAF, CENTCOM, USMTM, F-15SA, and Saudi AWACS programs. She is the capture manager, transition manager, and cost center manager of current operations. She provides engineering support for C4I, C4I Modernization and F-15SA Programs to the Royal Saudi Air Force and is an advisor to RSAF on cyber program development and C4I modernization strategy. Prior to her work with the RSAF, Alice was responsible for Kirtland Air Force Base C4I network operations and maintenance. She also supported a project with the Abu Dhabi International Airport to develop the Master Security Plan for the airport terminal. 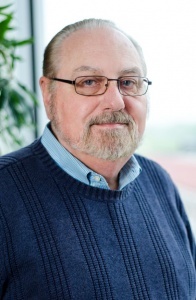 Ray Zdancewicz is a Vice President with Abacus Technology who has more than 34 years of progressive professional research, consulting, and management experience. He holds Bachelor of Science and Master of Engineering degrees in Systems Engineering and currently serves as the firm’s ISO 9001 Quality System Manager for IT Project Management and Operations as well as Officer in Charge of Proposal Development and Infrastructure Support. In addition, Ray oversees enterprise-wide corporate services to ensure that critical administrative functions are being consistently and cost-effectively performed to fully meet the needs of Headquarters, field office, and client site-based project operations. In this capacity, he provides ad hoc advisory and hands-on technical assistance in the areas of staffing and recruiting, human resources, web site/intranet content management, security, and facilities administration. Other roles and responsibilities include Mentor-Protégé program management, GSA Schedule contract maintenance, and ATNet configuration control. During his 30-year tenure at Abacus, Ray has also served as Team Lead for special projects involving employee compensation, training/certification, and OCI monitoring; Executive Director of market research/analysis; and Interim Facility Security Officer. In the early years of Abacus, he supported government customers by supplying economic analysis, program planning, business process modeling, and performance measurement expertise in the conduct of organizational and operational improvement studies, productivity assessments, engineering technology evaluations, management system reviews, compliance audits, and outreach production. These technical and managerial services primarily covered the areas of transportation, energy, defense, and resource allocation.